. 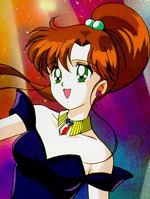 : Lunar Palace v.5 - USA: Sailor Jupiter :. Lita has a huge crush on Andrew. Once she finds out that Andrew has been seeing Rita for a year, she tries to sabotage the relationship by talking to Rita about her studies in Africa.